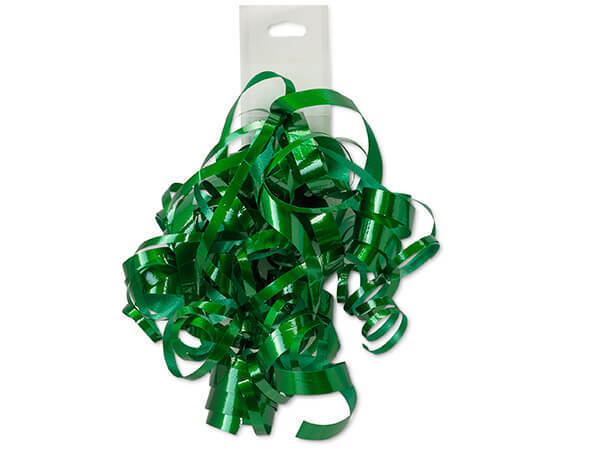 Green High Gloss Curly Bows are made from twelve strands of ribbon. Made in the USA. Each bow is attached to a peel and stick adhesive backing with a removable hang tab. UPC coded for easy resale.